Our most favorite time of the year has finally come – Christmas. It’s that time of the year where things are more idyllic. The streets are neatly decorated (at least in Copenhagen where I live) and Christmas trees are being sold on every marketplace in the city. If you by any chance should be in Copenhagen during December, I would recommend you to visit some of the Christmas markets in the city, that is if you want to feel the Christmas spirit. I’ve already visited a few this year. …is truly magical. This is without doubt my most favorite market of them all. It’s simply MAGICAL, year after year! 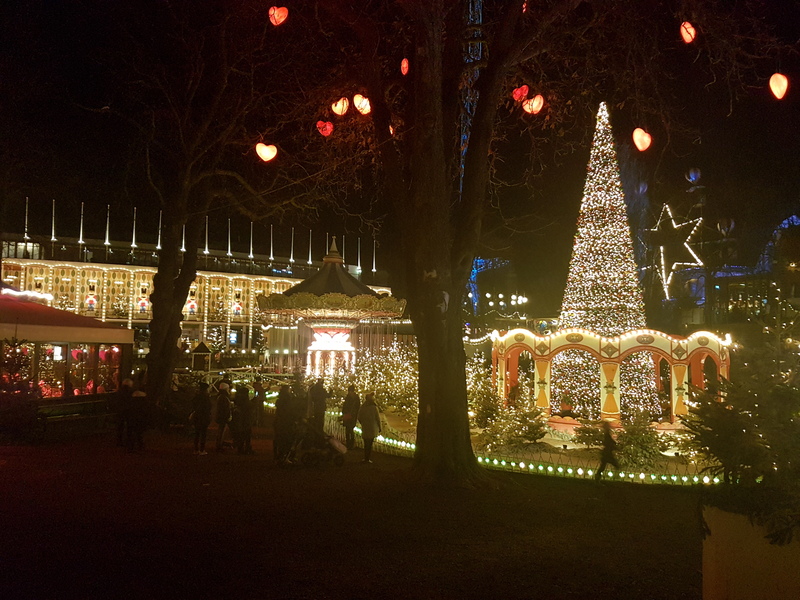 There are many things to see throughout the Christmas season in Tivoli and not to forget to taste the delicious Christmas goodies on every corner. 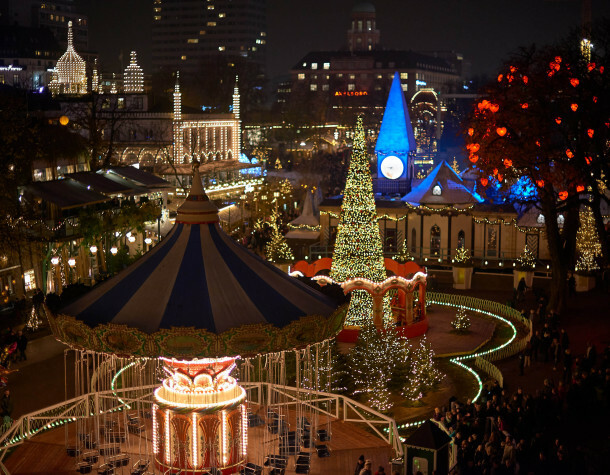 If you’re planning on being there in the evening, please note that you can experience the Tivoli Christmas Fountain! …small tree stands are placed along the wharf. The market itself is nothing special however, the setting around Nyhavn makes the atmosphere super cozy. … this year H. C. Andersen’s Christmas is located on Axeltorv this year, right in front of the most colorful building in Copenhagen – Palads. The market is somewhat smaller than the two mentioned, however, it’s very cozy. Buy some æbleskiver and get yourself some gløgg to keep warm. It’s the perfect market for the family. … for the first time ever, you’ll find the International Christmas Market on Kongens Nytorv. The market is very similar to the ones you’ll find in other cities throughout Europe. Personally, I think it’s a bit too crowded as it’s located in the center of the city. 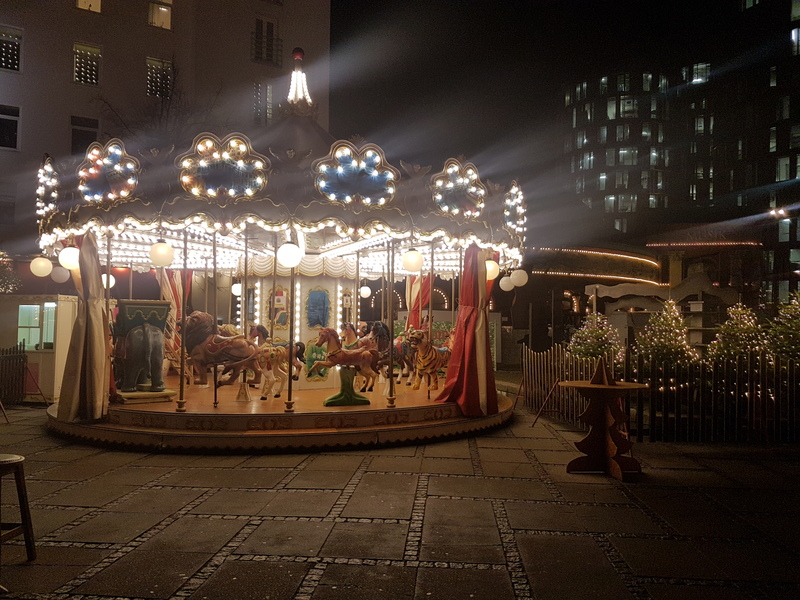 Carlsberg wanted to do something different this year, so they converted the old brewery yard into a small Christmas market. This year they are introducing their guests to the newest market, a market for the whole family even daddy! You can get yourself a cup of gløgg with beer and taste a whole bunch of special brewed beer. The only negative thing I can come up with is the opening hours, as the market is taking place from December 2nd – December 4th. I hope you’ll do better next year Visit Carlsberg! … the only market I haven’t visited myself as the market opened on December 9th! However, I must admit that I’ve never visited this very famous market which has it’s roots from the 70ies. Supposedly, it should be one of the most beautiful and most exotic Christmas markets in Northern Europe – I have to explore it this year!